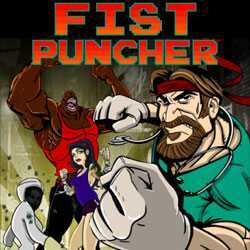 Fist Puncher is an Action, Platformer and Fighting game for PC published by Adult Swim Games in 2013. Create a group of fighters. There are lots of criminals in the city. No one has the power to stop them! There isn’t even a sheriff in your city to keep them in a prison.